The British security service, MI5, withheld vital anti-terrorism intelligence just months before the Omagh bombing in 1998, it has emerged. According to security sources in Northern Ireland, MI5 failed to inform Special Branch of the threat about the bomb plot. The details have only just emerged as part of an investigation into an FBI agent who infiltrated the Real IRA, which carried out the attack. Relatives of some of the 29 people killed in the bombing have said they are astonished by the disclosure. 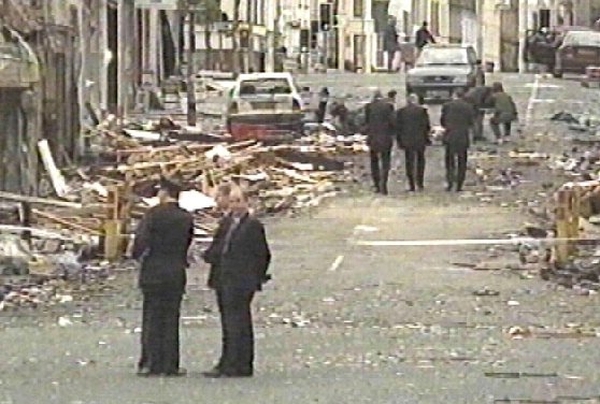 Three dissident republicans were arrested and later released without charge at the time of the foiled April 1998 bomb plot four-and-a-half months before Omagh was attacked.